Nal’ibali: ‘Here’s the story’ – in your mother tongue! By Dr. Carole Bloch, Director of the Project for the Study of Alternative Education in South Africa (PRAESA). Many English speakers look bemused at the thought of celebrating World Mother Tongue Day – what’s to celebrate? After all, it’s normal to use our mother tongue every day, isn’t it? No, it’s not! In a multilingual country like South Africa it is actually only normal for mother tongue English speakers, and some Afrikaans speakers, to expect to carry out their daily business in their ‘first’ language. But most people living in South Africa do not have the same privilege. It never ceases to amaze me how many of us – usually English speakers – find difficulty appreciating the language burden placed on African language speaking people, and particularly children, as they move up through primary school. The debate is tired, or, maybe, I am tired of the debate. It is so glaringly obvious: to understand and communicate at school, you need to use a language you know. And, to get to know a new language, you need teachers who are not only well-trained role models, but also readers. And then of course, you need books and stories. In South Africa, we have a great children’s literature from around the world, including stories from Africa… But it’s mainly in English. Can we expect African language speaking adults and children to be motivated to read without literature in their languages of choice? Don’t all children in 21st Century South Africa deserve books and stories in their mother tongues? I think yes. From such a nurturing base, where you are able to see and understand the world through the lens of your own language, you‘re more likely to be motivated and inspired to learn new things. That’s one of the reasons why the Nal’ibali, the national reading-for-enjoyment campaign is putting so much effort into producing stories and other reading materials in several African languages as well as English. Since 2012, in our bilingual supplement and on our mobi and web sites, we have made available, through collaboration with publishers, 92 stories for children and the adults who care for them, to read in their mother tongue. They can read these stories in English or another of the six African languages we have managed to work in thus far with support from SA PEN and others. With more support, together we’ll make every one of the 11 official languages rise to the task of nurturing children into the magic and wonder of reading. 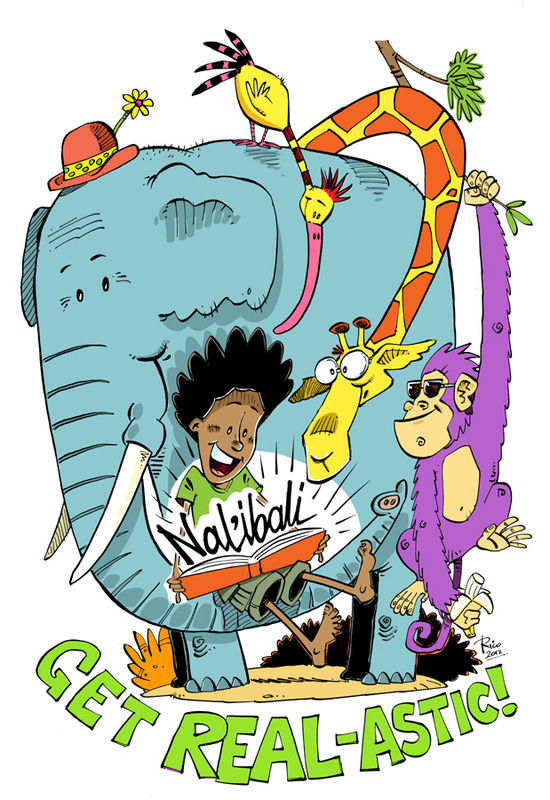 For more information about the Nal’ibali reading-for-enjoyment campaign, children’s stories in a range of SA languages and tips on reading and writing with children, visit www.nalibali.org, www.nalibali.mobi or find us on Facebook: nalibaliSA. This article Originally appeared in the Cape Times newspaper, February 19 2014.